Alistair Done was last seen on Balmedie Beach, in Aberdeenshire, on Saturday, January 5. Police have found a body as part of the search for a missing man. 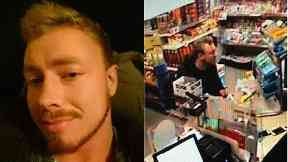 Alistair Done was last seen on Balmedie Beach, in Aberdeenshire, on Saturday, January 5, after his belongings were found. The 25-year-old is believed to have travelled to Aberdeen from his home in Malpas, Cheshire, on Friday January 4. Police Scotland confirmed that the body of a man was recovered from Balmedie Beach at about 5.50pm on Sunday. No formal identification has taken place at this time, however Alastair's family have been informed.